Ivanka Trump is shuttering her eponymous fashion brand. "When we first started this brand, no one could have predicted the success that we would achieve," Ms. Trump said in a statement on Tuesday. "After 17 months in Washington, I do not know when or if I will ever return to the business, but I do know that my focus for the foreseeable future will be the work I am doing here, so making this decision now is the only fair outcome for my team and partners." The fashion, jewelry and digital lifestyle company, which Trump launched in 2007, generated $100 million in revenues in 2016, according to G-III – the $2.3 billion apparel giant that manufactures and distributes Ivanka’s wares – having built up a list of stockists that has included Lord & Taylor, Nordstrom Macy’s, Bloomingdales and Zappos. Initially, it appeared as though the election would only boost the profile and sales of Trump's brand. G-III revealed in an annual filing that it saw a $17.9 million increase in net wholesale sales of Ivanka Trump’s products in 2016. 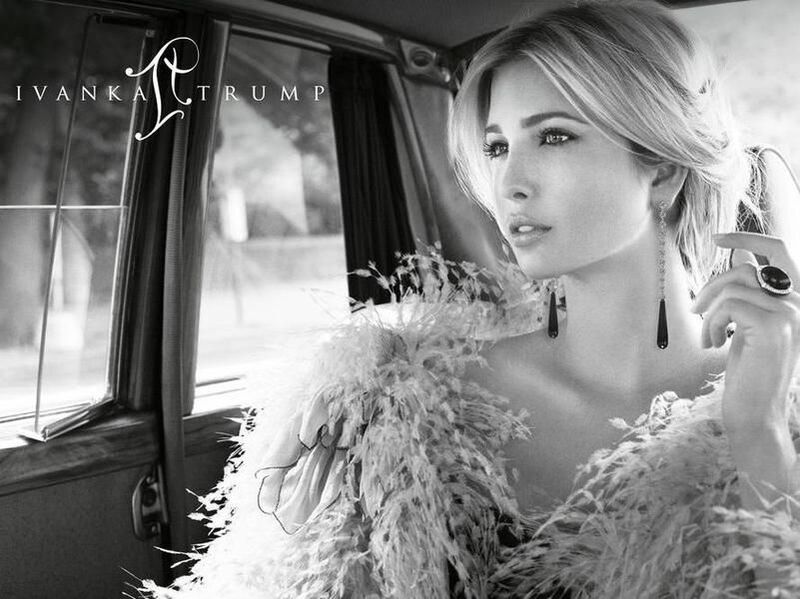 G-III's numbers were soundly in line with a March 2017 report from CNBC that identified a post-election spike in interest in the First Daughter’s brand, including a 121 percent rise in average daily U.S. visits to IvankaTrump.com since Inauguration Day. In February 2017, a month after Donald Trump was sworn in as president, fashion discovery platform Lyst reported that searches for the Ivanka Trump brand were up more than 700 percent compared to the same period in 2016. However, the appeal of the brand began to slip not long after the inauguration, according to an array of reports, with the volume of sales and order growth for the New York-based fashion company steadily declining, likely due to a messy concoction of legal, ethical, and labor-related issues with which the brand has been tied. There were the infringement lawsuits, reports of "overtime that stretched past midnight, steep production quotas and crude verbal [and physical] abuse" at the Chinese factories that served to supply footwear for the Ivanka Trump brand, and an alleged attempt to rebrand Ivanka Trump wares as coming from fellow G-III-owned brand Adrienne Vittadini Studio in order to make them more attractive to consumers. But the real damage to Trump's brand came as a result of its once-profitable connection with Donald Trump's highly controversial presidency, and thanks, of course, to the seemingly endless pit of "alternative facts" – as the Trump administration likes to call glaring mistruths – that was the Ivanka Trump brand. Consumers simply must have grown tired of the unsubstantiated narrative of Ms. Trump as a champion for working women and her company as a beacon of what it looks like to value "Women Who Work," the title of Ivanka Trump's book and one of her hashtags of choice. In reality, Trump's brand, according to an array of Associated Press reports, has relied heavily on low-cost garment labor abroad (a sector where women make up more than 80 percent of the workforce), and supply chains riddled with abuse. At home, Trump's lofty endeavors in favor of paid family leave rang hollow, considering that her brand did not have a paid maternity leave policy until 2014. There is also the Trump administration's push for "Made in America" products, which stands in stark contrast to the reality of both Ivanka and her father's brands' wares, which are almost entirely manufactured in China. The list of inconsistencies, at best, hypocrisy, at worst, goes on. While the First Daughter and advisor to the President formally stepped away from her eponymous label early last year amidst mounting ethics concerns, including her promotion of the brand during her father’s presidential campaign, it was revealed by the New York Times that Ms. Trump continues to profit from her individual business empire while serving as a close confidant to the President. According to Democracy Now, a nonpartisan watchdog organization that scrutinizes Executive Branch activity, of the $82 million in outside income that Trump and her husband (and fellow advisor) Jared Kushner brought in last year, $5 million came from the trust that oversees Ivanka's clothing brand. More significantly, though, her attempt to distance herself from her brand simply did not work, and that is not merely because she continues to wear her own brand's garments and accessories – in furtherance of what a class action lawsuit filed against her brand last March and a formal letter to the Office of Government Ethics early this year declared is an example of Trump using her position as a highly-ranking government employee in the executive branch for her own personal gain, i.e., as an opportunity to promote and financially benefit from her brand. No, it is because she is the brand that bears her name. And aside from the legal and ethical plight of Trump's personal brand, which almost certainly had a hand in chipping away it its appeal in the minds of consumers, it is difficult not to notice the expansiveness of hypocrisy. Also worthy of note: The timing of the news of the impending closure of Trump's "Made in China" label. After all, her father is expected to levy a total of $500 billion in tariffs on Chinese imports, a move that would certainly affect garments and accessories, which, to date, have been shielded from the increasingly hostile trade war between the U.S. and China. Maybe this is just the latest example of a Trump trying to leverage their new power within the administration (and access to insider info, maybe?) for their own gain.